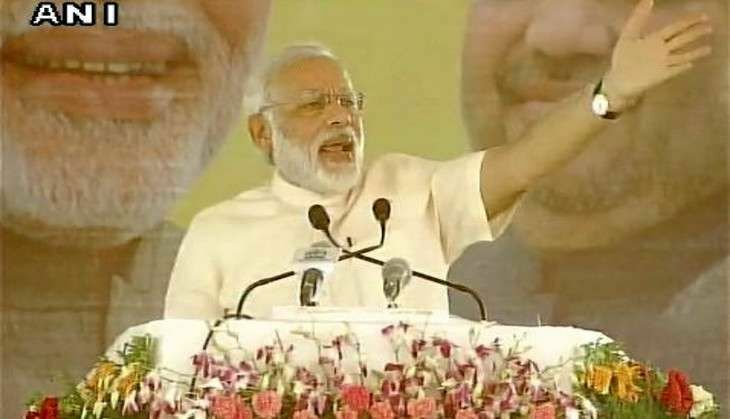 Prime Minister Narendra Modi on 25 June scoffed at the incident in which venues for the Indian Premier League (IPL) matches had been shifted due to water crisis, saying that pitches are watered throughout the year even if a match is played or not, adding sarcastically that whoever came up with the 'incredible philosophy' must be lauded. "Wherever there are stadiums, even if matches are played or not, water needs to be supplied for the grounds maintenance for 365 days. But somehow the entire nation bought into the incredible philosophy that that if the match is not played then the water supply to the ground stops automatically," PM Modi said in his address after launching the smart city project at an event in Pune. Asserting that watering the pitches throughout the year is how the greenery was maintained, he added that the entire row has hurt Maharashtra in many ways. Earlier, BCCI Secretary Anurag Thakur had said that there was an attempt to create negativity around the league by using the 'water crisis' as an excuse. "We are not using drinking water, we have said that we'll use treated sewage water only. How many swimming pools of 5 star hotels have been shut? Have people stopped watering their lawns? There is an attempt to create negativity on every issue these days. IPL was to use 0.00038% of water so that shows the requirement was not much," he said. The Bombay High Court had ordered shifting of 13 IPL matches post 30 April, which were to be played in Mumbai, Pune and Nagpur of the drought-hit state. A Mumbai-based NGO had petitioned the Bombay HC challenging the use of over 60 lakh litres of water to maintain pitches and sought shifting of IPL matches out of the state given the second successive drought it is experiencing.